Feel free to contact us with any questions on accessibility. It’s finals week at a small liberal arts college in rural Pennsylvania. A tight-knit group of roommates pull one last all nighter to complete their final assignments. The hours pass, the pressure mounts, the Adderall flows, and we come to learn the ties that bind this group together and the reality they face that could break them apart. Natalie Margolin is a playwright, actress, improviser, and graduate of Kenyon College. Her play, The Power of Punctuation, premiered the summer of 2016 in New York City. The New York Times called it a "smart and incisive... oasis of entertainment." The Power of Punctuation was also a New York Stage and Film Founders Award finalist, recipient of Kenyon College's James E. Michael Playwriting Award and the Thomas Turgeon Memorial Award. She is currently developing her new play, Tutus, which has been workshopped in both Chicago and NYC. Natalie assisted Theresa Rebeck on her play, What We're Up Against at the Women's Project in NYC. Natalie has also worked as a dramaturg for Lucy Alibar (Beasts of the Southern Wild) on Lucy's piece titled, Throw Me On The Burnpile And Light Me Up. She is a consultant for SheLA, a playwriting festival based in LA with the goal of providing a platform for female identifying voices. 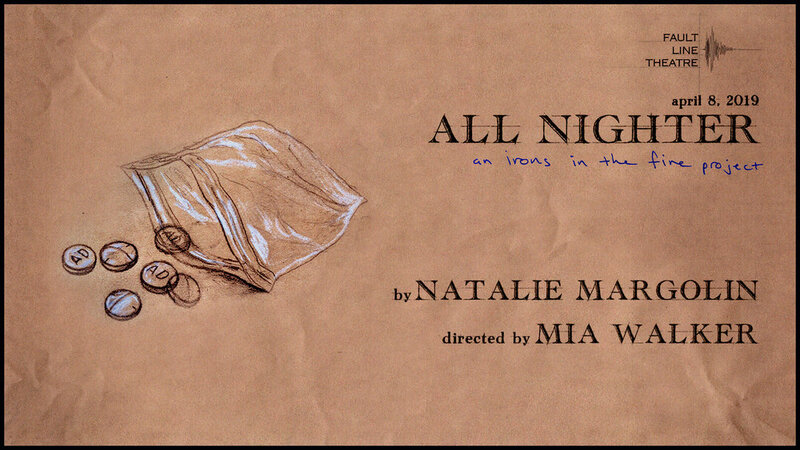 Natalie is a resident playwright at Colt Coeur (artistic director Adrienne Campbell-Holt). She lives in NYC and continues to write and perform.